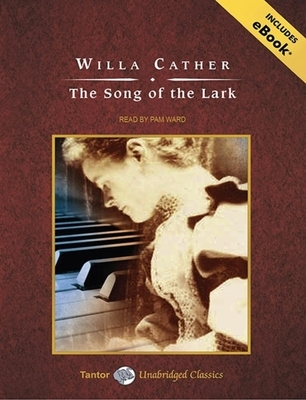 From one of the foremost twentieth-century novelists, The Song of the Lark is the portrait of a formidable woman who defies the limitations set on women of her time and social station to become an international opera star. One of the great American writers of the twentieth century, Willa Cather is the author of such classics as "O Pioneers! ""My antonia," and the Pulitzer Prize-winning "One of Ours." Pam Ward has performed in a variety of venues, but she found her true calling reading books for the blind and physically handicapped for the Library of Congress Talking Books program, for which she received the prestigious Alexander Scourby Award from the American Foundation for the Blind. She is also an "AudioFile" Earphones Award winner.